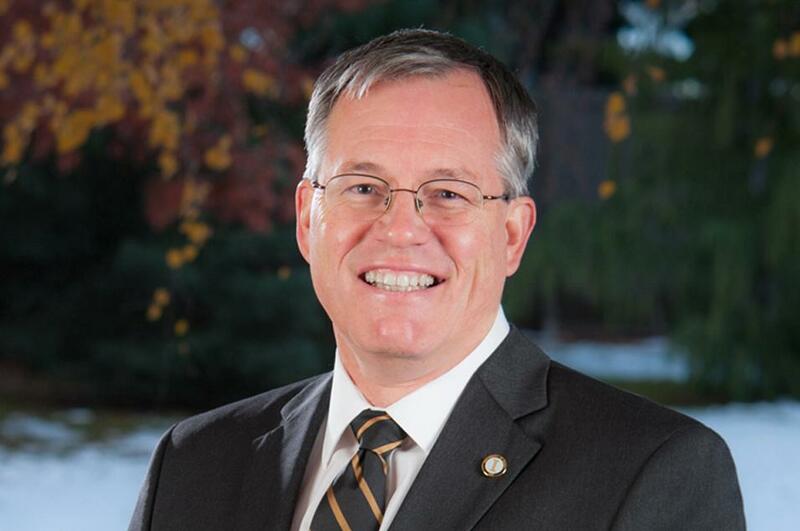 Wed., Feb. 6, 2019, 12:50 p.m.
University of Idaho President Chuck Staben told the UI Faculty Senate on Tuesday that a recent campuswide alert regarding tenured journalism professor Denise Bennett had nothing to do with harming her reputation or stopping a student-organized sit-in. In an alert issued the following day, the university attempted to defend its initial alert and referenced a Nov. 4 police report detailing a domestic dispute involving Bennett in which she allegedly told police officers she had used meth the day before. The firearms mentioned in the report were being loaded into a car. Bennett was placed on administrative leave effective Jan. 24, days after she sent a profane email to university administrators. On Jan. 29, Bennett live-streamed a video online in which she criticized the administration and read a letter sent to her by the UI detailing the reasons for her being placed on leave. Some faculty members in attendance Tuesday said the wording of the alert appeared to be designed to discredit Bennett. Others wondered if the alert was timed to disrupt a student sit-in protesting Bennett’s suspension. The alert was issued at about one hour before the sit-in, which was subsequently postponed. Staben denied the alert was sent for any other reason than to preserve safety on campus, noting the police report was a public record. He said the wording of the message was decided on by a threat assessment team that recommended specific information be included to communicate the seriousness of the situation. UI officials and police told the Daily News the day of the alert Bennett was not considered to be violent or dangerous. Staben said meth was mentioned in the alert because the drug is associated with a lack of impulse control and violence. “This was not done to negatively affect the person about whom the alert was sent, it was done to protect those who might be at risk . It wasn’t done lightly,” Staben said. Hormel pressed, saying there was no indication by law enforcement that Bennett was a danger to campus. “So, fundamentally, you wanted to wait until shots are being fired before we issued a Vandal Alert?” Wiencek asked. Staben added the UI has made missteps handling the issuance of emergency alerts in the past. Hormel responded that many of those receiving the alert – including parents and alumni not familiar with the conflict between Bennett and the UI – could be forgiven for thinking there was a clear and present threat to campus. At the very least, she argued, it eroded the image of the UI during a time of enrollment difficulties. Michelle Wiest, an associate professor with the department of statistical science, said she worried other employees may have their history with the police unearthed to discredit them if they find themselves in conflict with administrators. Staben said the situation involving Bennett is unique and the decision to send the alerts were the result of a consensus of the threat assessment team. Published: Feb. 6, 2019, 12:50 p.m.